Capt. 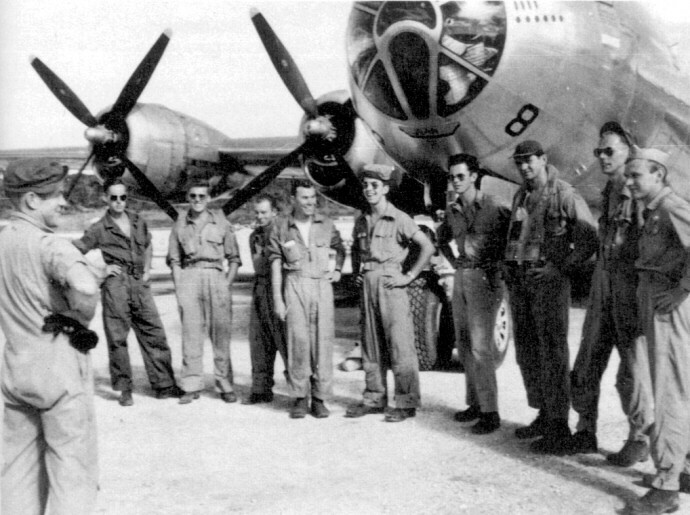 Paul E. Jones lines his crew up in front of the "Bataan Avenger", before takeoff. The "Bataan Avenger" was flipped over on her back during a heat thermal updraft over Osaka on March 13, 1945. No one was seriously injured. Source: Chester Marshall, "B-29 Superfortress" (1993), p. 101. Thomas. Sgt Francis L. Wildes, Jr. (Radar) is the 5th from the left. This crew primarily flew the "Bataan Avenger".